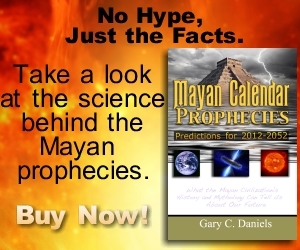 Central America 1,800 miles (2,900 kilometers) away. 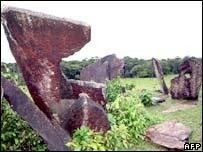 Its appearance is being compared to the English site of Stonehenge. 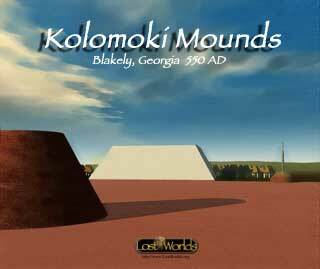 The Kolomoki Mounds site is believed to have been the most populous Native American community north of Mexico during its time period. 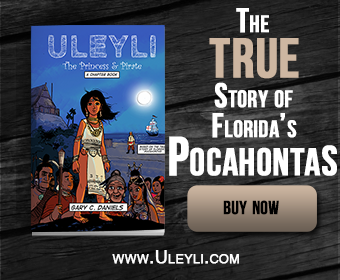 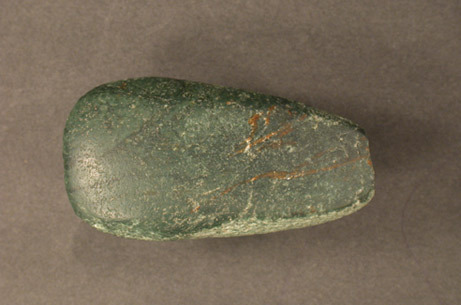 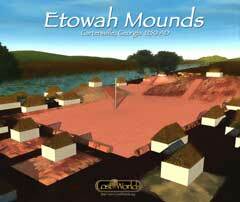 The site consists of nine earthen mounds built between the years A.D. 350 and 750. 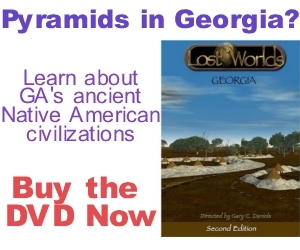 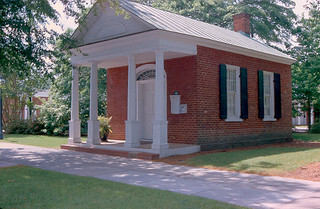 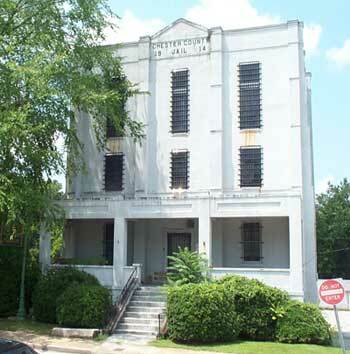 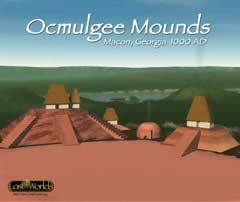 Ocmulgee Mounds located in Macon, Geogia consists of seven mounds and associated plazas. 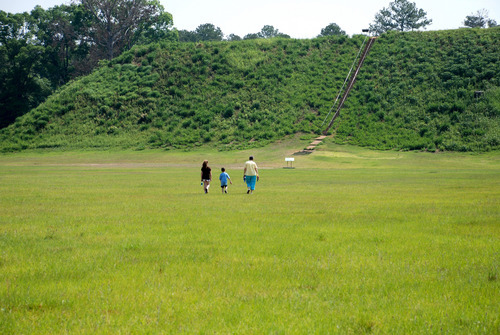 The Great Temple Mound at Ocmulgee was built atop the Macon Plateau and rises 56 feet high from the surface of the plateau. 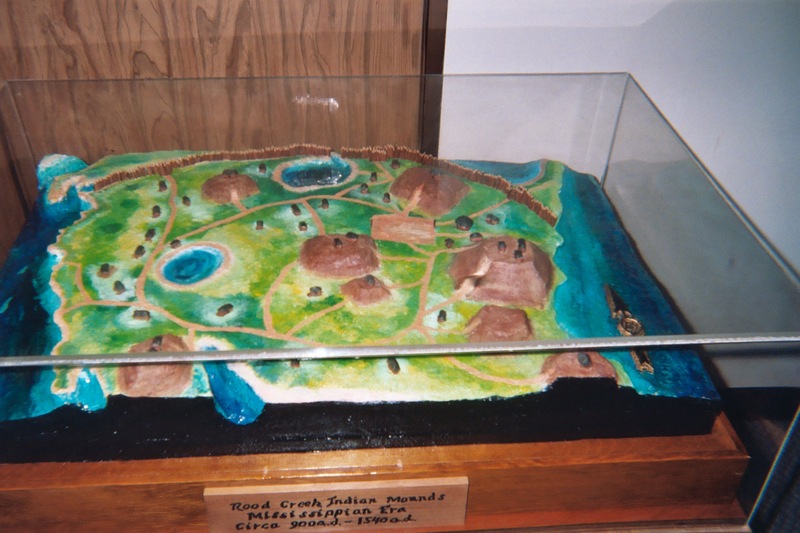 The Etowah Mounds complex consists of six earthen Indian mounds all in the traditional Mississippian truncated pyramid shape. 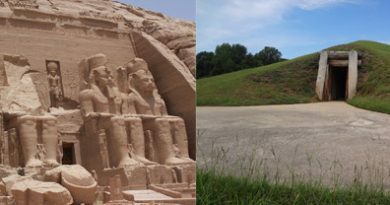 These Indian mounds were built between 950 A.D. and 1450 A.D. although major construction didn’t truly begin until around A.D. 1250. 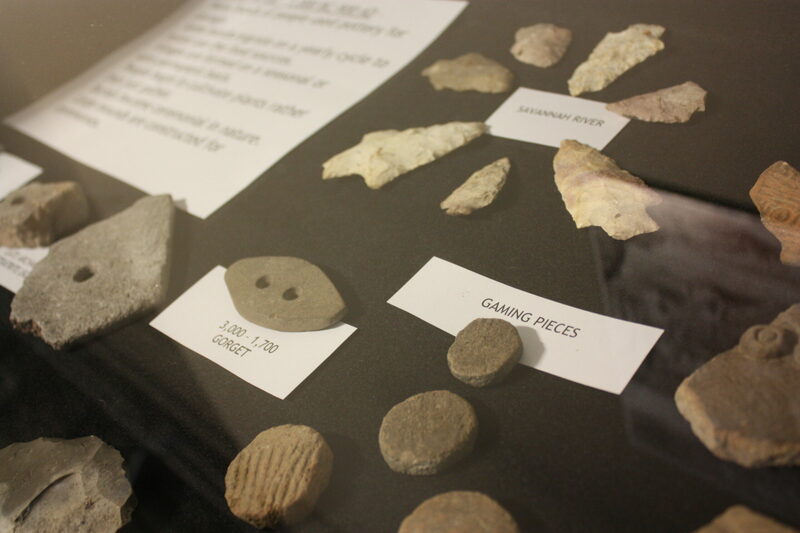 Florence Marina is near the Rood Creek Indian Mound site located on Lake Walter F. George in western Stewart County.